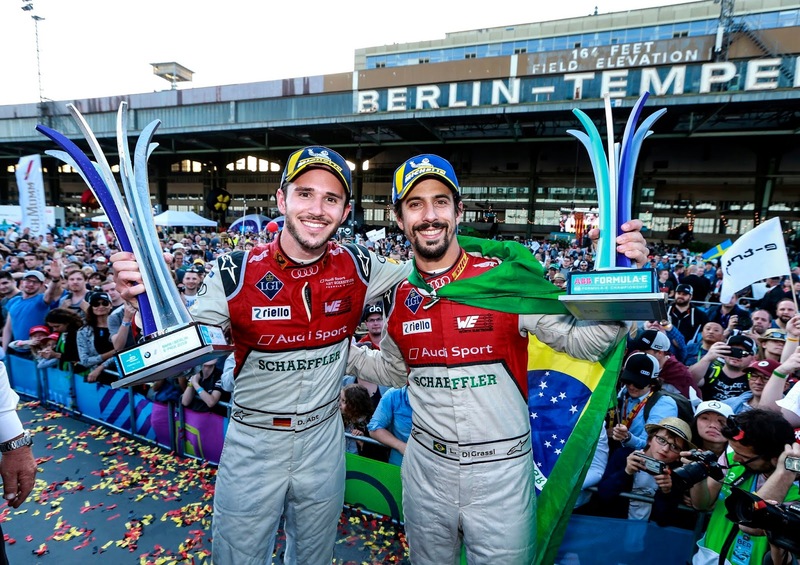 Berlin, 19 May 2018: Audi Sport ABT Schaeffler scored maximum points on a race day of the Formula E racing series, after they finished with a pole position, a dominant one-two finish and the fastest race lap at the home race in Berlin. 25-year old German Daniel Abt produced a perfect performance at his home race, effortlessly qualifying for the single timed lap for the fastest five, where he threw down the gauntlet and easily clinched the first three points for the second pole position of his Formula E career. This was followed by a dominant start-finish victory and as crowning glory the point for the fastest race lap. He was presented the winner’s trophy by Transport Minister Andreas Scheuer, for maximum points with pole position, victory and the fastest lap. The Audi one-two finish was made by Lucas di Grassi. 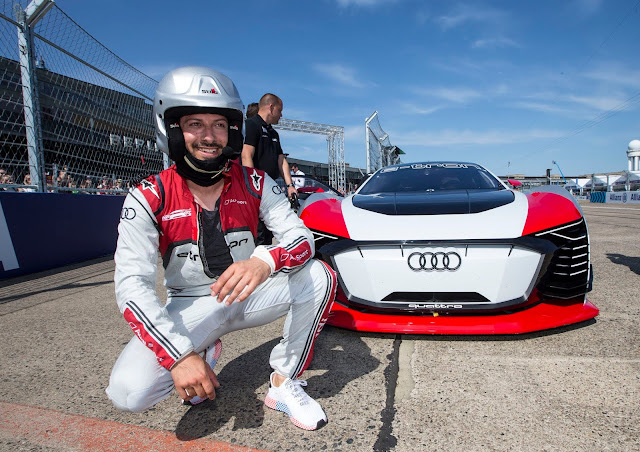 The defending Champion set the fastest lap in qualifying with his Audi e-tron FE04, but then had a short slide that dropped him down to fifth on the grid. After the start, the Brazilian needed only twelve laps to move his way up to second place. Thanks to a faster pit stop, the Brazilian caught up with his team mate and subsequently drove effortlessly home in second place. The third placed Jean-Eric Vergne in Techeetah was more than twelve seconds behind at the checkered flag. In the drivers’ championship, both Daniel Abt and Lucas di Grassi improved before the last three races in Zürich (June 10) and New York (July 14/15) to take fourth and sixth places respectively. Abt is only one point shy of third place in the standings.